Víkingr had this stone raised in memory of Smiðr(? ), his son. He was the best of valiant men. 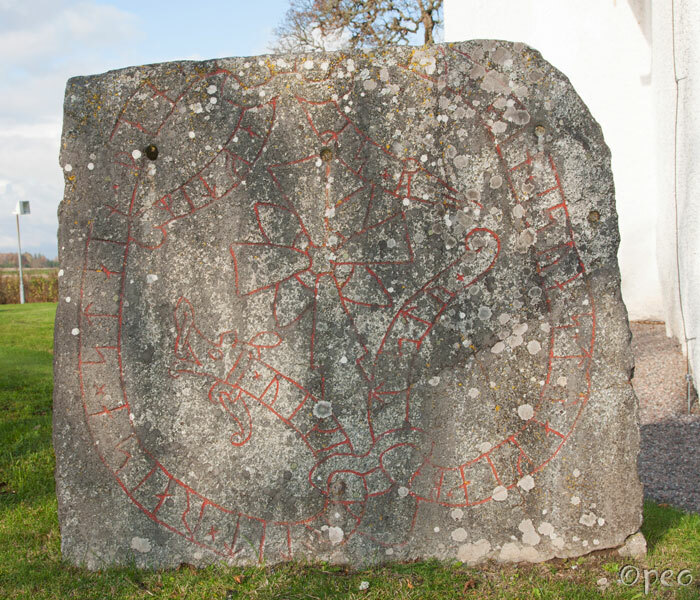 This rune stone is standing next to U 800 in front of Långtora church.